This post is about a Creme Fraiche is a soured, or cultured, cream that is used in a variety of dishes. It’s similar to sour cream, but it’s richer and the flavor is less tart. 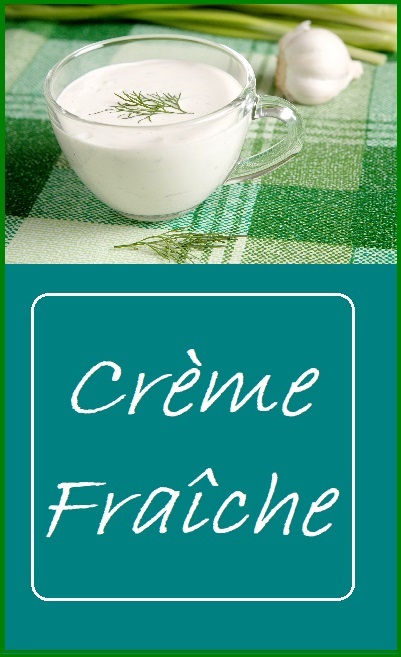 In our area, I can’t find Creme Fraiche in any stores, but luckily, it’s very easy to make Creme Fraiche. All you need is cream and buttermilk. It’s really that easy to make Creme Fraiche at home from items you can find in any supermarket. It’s delicious to add richness to dishes like our recipe for Tomato Soup with Lentils. Making Creme Fraiche is easier than making yogurt because there’s no need to heat the cream first. It’s practically fool proof, and once you taste the homemade creme fraiche you’ll never go back. It’s rich, smooth, and creamy. 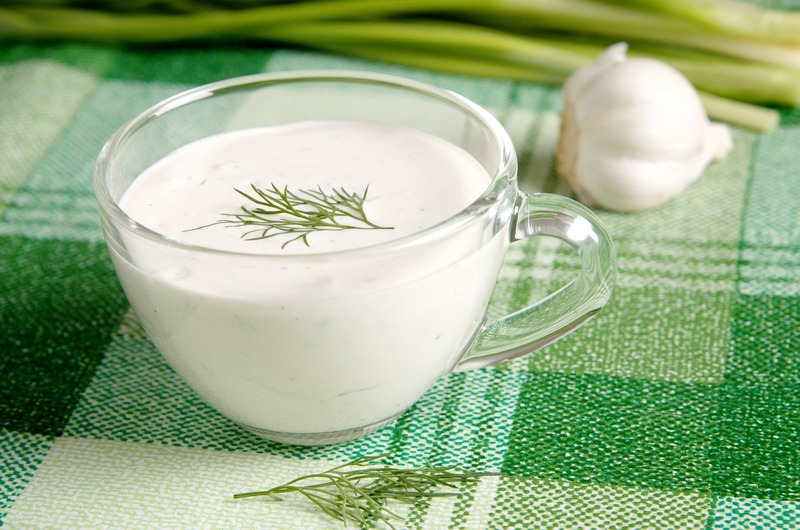 Give our recipe for Creme Fraiche a try and let us know what you think by leaving a comment below. This is a simple cultured cream that is great for adding richness to a variety of both savory and sweet dishes. I can't find creme fraiche in stores in my area, but I can make it. Add the butter milk and mix well. Allow to stand on the counter, at room temperature (approximately 70 degrees) for 8 to 24 hours or until it thickens. Cook's Note: If your kitchen is cooler, it will take longer for the creme fraiche to set up. Store Creme Fraiche in the refrigerator for 10 - 14 days. Nutrition Information is for 1 tablespoon of Creme Fraiche.